Inspired by and in support of The Comic Creators for Freedom this story takes shape. 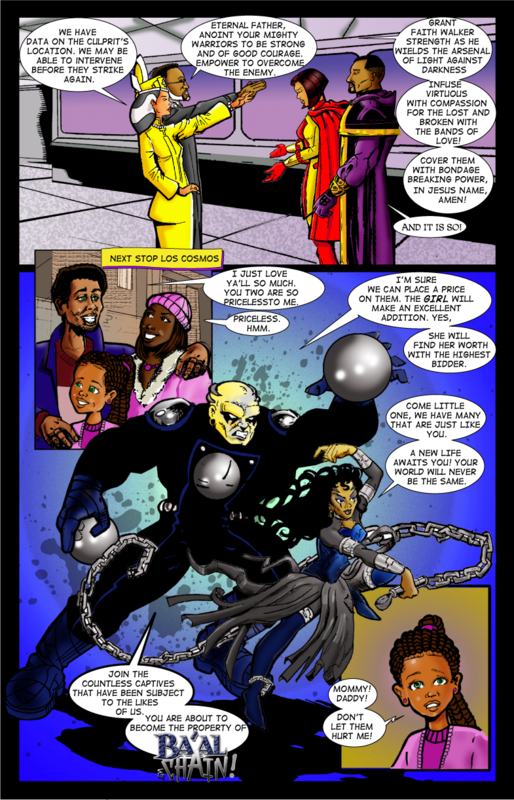 Faith Walker and Virtuous prepare as the vile villains enter the picture. With Human Trafficking being such touchy subject I was careful not to make light of the real victims/survivors while creating antagonists that would not warrent an "R" rating. Meet Ba'al and Chain. RG, Am i going to have to hire you as my PR man? Thanks again. Hence, your wonderful use of metaphor and symbolism. Nicely done! Ba'al and Chain? That's great. I love wordplay.